Several parties have tried to persuade Israel Prize laureate Miriam Peretz, who lost two sons in combat, to join them. Several parties have in recent days tried to persuade Israel Prize laureate Miriam Peretz to join them, Hadashot TV reported on Sunday. According to the report, the first ones to offer her a spot on their Knesset list were Naftali Bennett and Ayelet Shaked of HaYamin HeHadash (the New Right). They were followed by a series of direct and indirect appeals, and two heads of parties even personally visited Peretz at her home in Givat Ze'ev: Yair Lapid and Moshe Kahlon. Peretz reportedly met at length with all those who approached her, and received many generous offers. Some of the parties even hinted that her entry into the Knesset would be an excellent platform for her to become President after Reuven Rivlin's seven-year term concludes in 2021. Peretz ultimately turned down all those who approached her, noting that she is interested in continuing her public activity outside of politics, in meetings with the general public in which she believes she has the greatest influence. Miriam Peretz lost both her sons, Uriel and Eliraz, in combat. Eliraz Peretz was killed in 2010 near the Gaza border. Uriel was killed in Lebanon in late 1998. 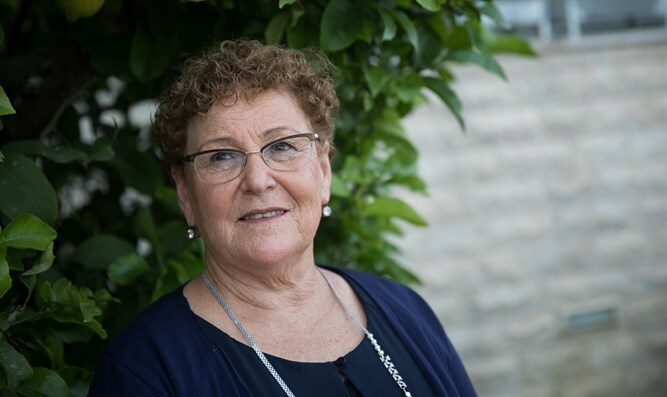 Since losing her two sons, Peretz has dedicated herself to giving educational, inspirational talks to teenagers and soldiers. She was awarded the 2018 Israel Prize for Lifetime Achievement and Special Contribution to Society.